Can you imagine what you can do inside a casino hotel whose heydays are the 60s? Well, it is good too. One reason that should be in your mind is that the facility is surviving. Then ask yourself how? 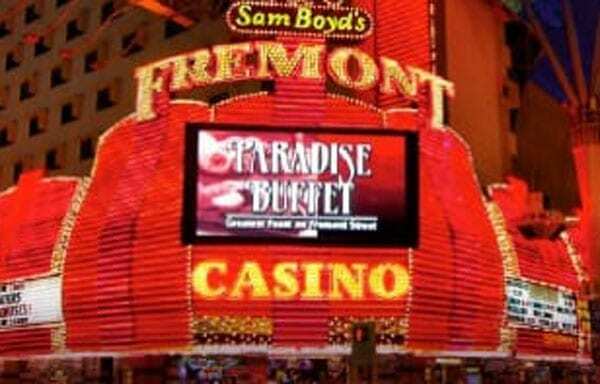 In this write-up, we’ll look into Fremont Hotel. The Fremont Hotel and Casino is one of the oldest hotels. It entered the market more than 50 years ago. So, when you call Fremont Hotel an old-school facility, you are right. But there is one thing that will shock you. This hotel is standing with energy. It has the vigor that is present in the sixties. Yes, it exhibits the same energy when it is young. Thanks to several renovations and repaints, the facility looks fresh. You will notice that the hotel is fresh as you enter the lobby. The high-dome ceiling lobby appears light and bright. The main difference with the Strip experience is that here, things are not fanciful. When you look at the age of the facility, you’ll expect things to be calm. Indeed this is how things are here. So, this part of town is more of Reno. You cannot compare it with the Strip. Besides, when the Strip boasts with celebrity chefs, things at Fremont Street are different. Although there are no celebrity chefs, Fremont continues to serve clients. Visitors who check into the facility, for many years find something to eat. Because the casino is in the heart of Fremont Downtown, you can expect entertainment. Here, you will get light shows, live music, and bars. The last offer lots of drinks and entertainment throughout. Fremont Hotel is ideal for those that want to enjoy a vacation in private. As you well know, the Strip is full of heckles. But this is an ideal place for those that want privacy and less busy life. The facility is also ideal for business travelers. This class of visitors usually does not drive their cars. They don’t care about parking and prefer a quiet place. Also, this is how convenient Fremont Hotel is. You will also love this place because it is a 15-minute drive from the airport. So, there is no need to struggle to look for other places to stay. The rooms at the Fremont Hotel are clean. The department is doing a great job to ensure rooms are clean throughout. Do you love sleeping in spacious rooms? Are you the kind of person who prefers suites to rooms? To be honest, this is one thing you will not love the facility. All the 447 rooms in Fremont hotel are small. Amenities inside these rooms are at the very basic. Do not expect to find big-sized rooms as if you are in a high-end hotel at the Strip. You are in Fremont Downtown. Granted, the rooms are super clean. They are an excellent place to sleep for a night or for as long as your business binds. There is a phone, an ironing board, and a flat-screen TV. These are the essential amenities in rooms. It is true that Fremont Hotel is an old facility. But you will still enjoy a few nights.